iOS metronome app Tempobot is live on the App Store. Read about Rhythm in the Brain, an ArtPrize research-art installation I helped develop. To examine visual feedback in multi-touch interaction design, I built a visual programming environment for multi-touch tablet for assembling interfaces. This serves as a platform to explore visual feedback in multi-touch interactions. Multiple visual feedback paradigms are implemented on top of a common core visual vocabulary, consisted of visual entities such as regions and links and containers. 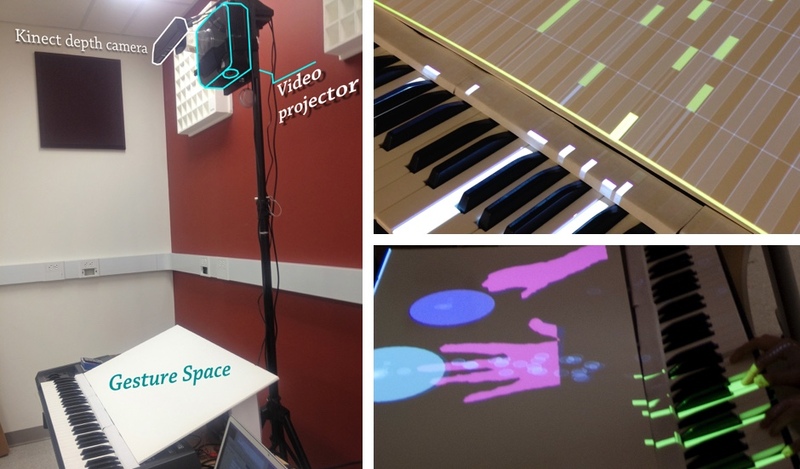 Using Kinect Depth sensor to augment traditional keyboard instrument with a 3D gesture space, and top-down projection is used for visual feedback at the site of the gesture interaction. Native mobile interface design and implementation in Swift on iOS. Metro is a reinterpretation of a familiar physical artifact (a metronome), for a mobile touch and gesture-driven interface. The visual look-and-feel and interaction experience are designed to be native to the modern touch UI vocabulary, yet still retains its own character. 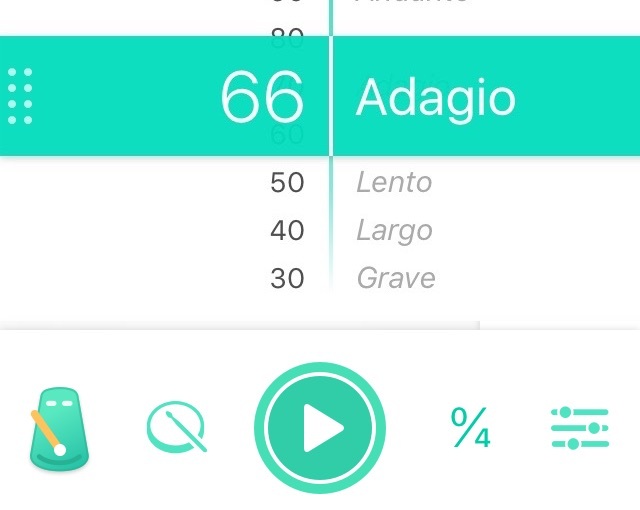 At the same time, the selected use of skeumorph reminds users of the tactile experience of using a mechanical metronome without gratuitous use of textures. In collaboration with Sang Won Lee, I designed user interface and product concepts for a web-based writing application and corresponding mobile app which supports timed playback of the writing process, as well as enabling rich text-based expressions. The companion mobile app can capture nuanced typing gestures to enrich texting-like communications. As part of the ExFlu study by University of Michigan School of Public Health, I cleaned and analyzed multi-sensory data collected from 100 phones over 3 month. These include bluetooth and wifi contacts, accelerometer, and battery. 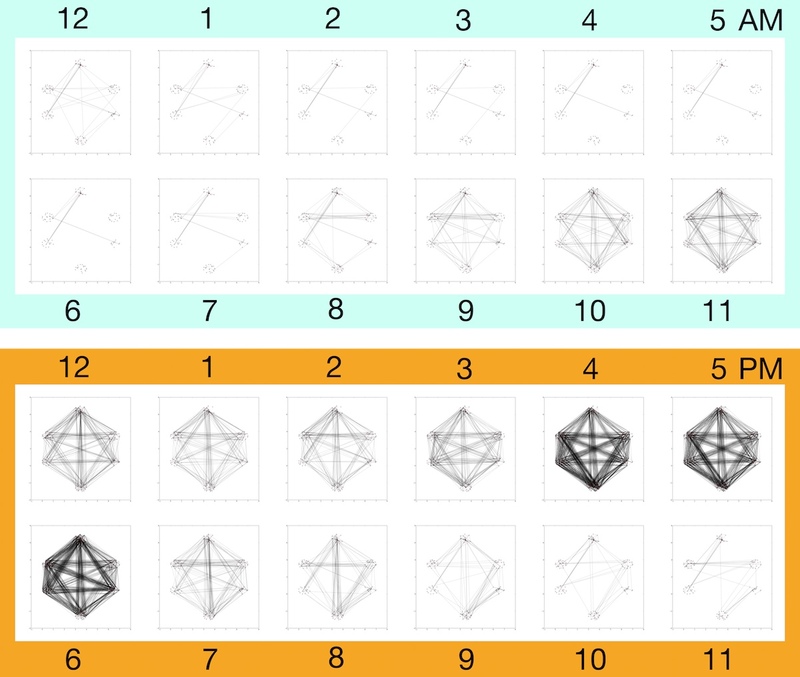 Between-phone Bluetooth contact data are used to visualize social contact between study participants. I also coordinated the collection of GPS position of local wifi access points. These data enabled me to localize and visualize activities on-campus and heat spots. I developed as part of the web development team of Harvest Mission Community Church. I also lead the upcoming redesign of the web presence of the nonprofit organization. We created a mobile phishing attack and proof-of-concept defense against the attack, for computer security graduate course project. The demonstration attack targets the iOS mobile browser by mimicking the native application user interface to pass casual observation. The defense uses a keyboard input monitoring to intercept possibly sensitive information.